← The Hot Dog Stuffed Pizza is Here! 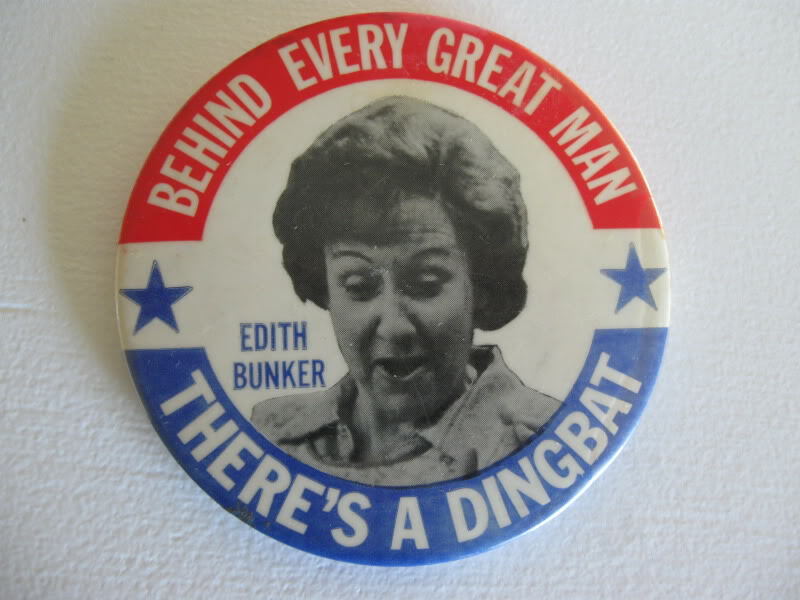 According to the Democrat Party and its spokeswoman, Hilary Rosen, Stay-at-Home Moms are the Edith Bunkers of women-kind, silly out-of-touch Dingbats who should just shut up and make sandwiches for the big grown-up broads. Well, after the media firestorm surrounding Rosen’s remarks, it would appear that the real Dingbats in the room here ain’t the Ann Romneys of the world. Ah, the sweet sounds of sisterhood emanating from all that Hope and Change. This entry was posted in Media/Arts/Entertainment, Political/Social and tagged Democrat Party, Dingbat, Edith Bunder, Hilary Rosen, Hope and Change, stay-at-home Moms. Bookmark the permalink. Poor Edith. Used as a foil by liberal entertainment media to discredit her conservative husband, Archie, and now dragged out of retirement to be used as a snotty liberal ladies’ punching bag. So much for sister solidarity.